Timber framing is the oldest form of construction and is still one of the most popular in the world today. We provide precision engineered timber frame structures that are constructed using high quality environmentally friendly materials, quick to build and ultimately cost-effective when compared with other materials. 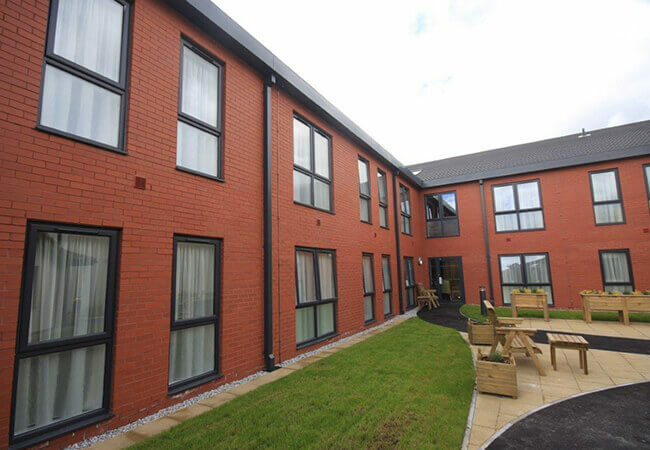 We use advanced panel designs ranging from simple Building Regulation compliance performance through to Passiv-Haus levels of insulation and air-tightness. 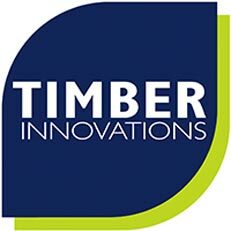 Our timber engineering expertise also extends to areas such as roof trusses, metal-web floor joists, insulated roof panels, glulam and hot-rolled steel elements, SIPs (for walls and roofs), various oak features – whether aesthetic or structural – and all these integrated in the most efficient construction packages. 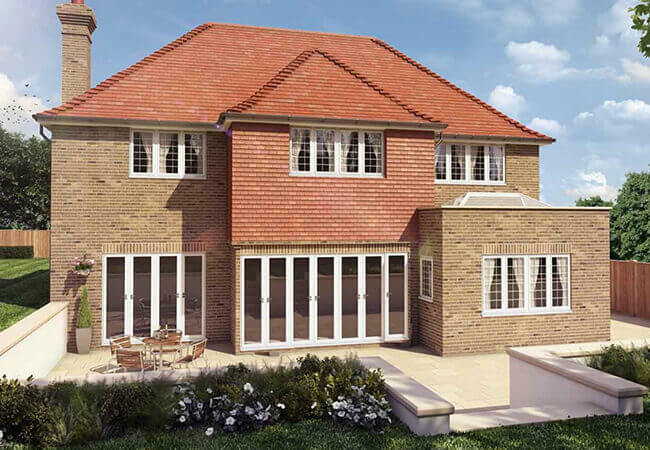 For “contemporary” style newbuilds we are less likely to include oak features – but large spans and clear open spaces with vaulted roofs will be achieved with glulam of steel elements included in our superstructure solutions. 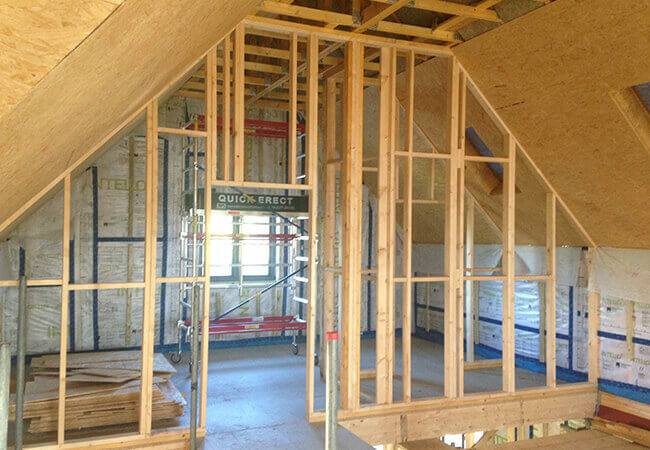 Whether the thermal envelope (external walls and roof profiles is to be timberframe or SIPs we offer insulation performance choice from 0.24W/m2K U-value down to Passiv-Haus levels – typically 0.15U-values) even down to 0.1W/m2K. So, always well ahead of Regulations, but with proven expertise for solutions down to the lowest energy levels. At these lower U-values the importance of air-tightness increases and of course the detailing to achieve this is best done early in the design process – in conjunction with MVHR and heating system evaluation.